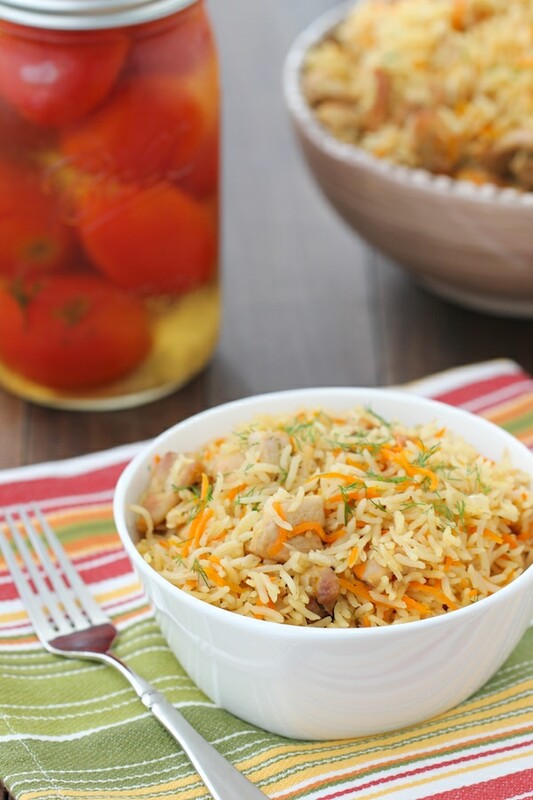 Chicken and Rice Plov is a Russian rice pilaf recipe using chicken, carrots, onions and garlic to flavor the fluffy and tender rice. 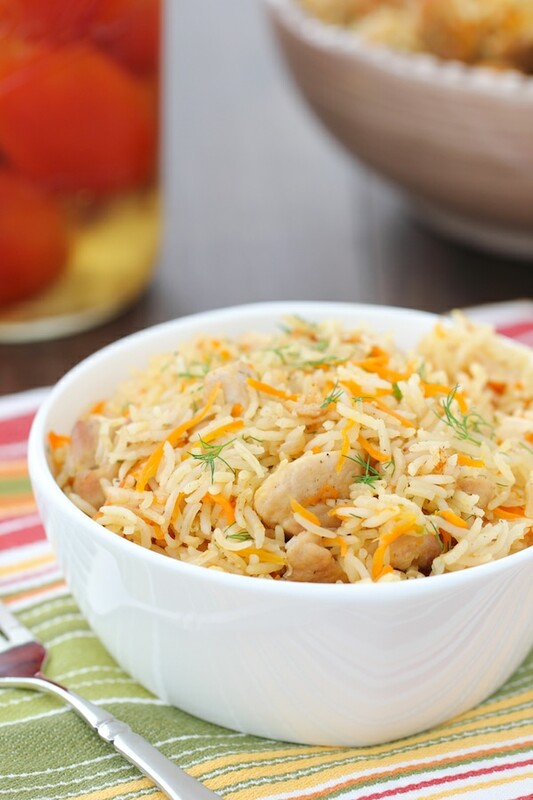 Chicken and Rice Pilaf, or Plov, as we call it in Russian, is such a simple and satisfying, one-dish dinner. We love serving rice in our family and making it an entire meal makes so much sense, by adding the meat and vegetables to the pot too. I have a great recipe for Beef Plov, which is just as wonderful, but it takes much longer to cook. 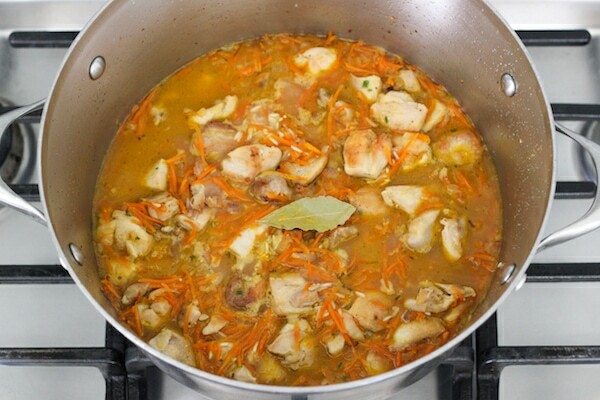 Since the chicken is sautéed first, the rest of the ingredients get to soak up all the chicken fond and the amazing chicken flavor permeates the whole dish. 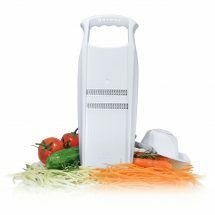 You can keep it simple and traditional by using onion, carrots and garlic only, but you can also add so many other ingredients to keep it interesting, such as mushrooms, bell peppers, celery, frozen peas, green beans, broccoli, cauliflower, to just name a few. Another wonderful thing about this dish is that it is completely freezable, so if you have a smaller family, freeze part of it or cook an extra batch and you will thank yourself later. 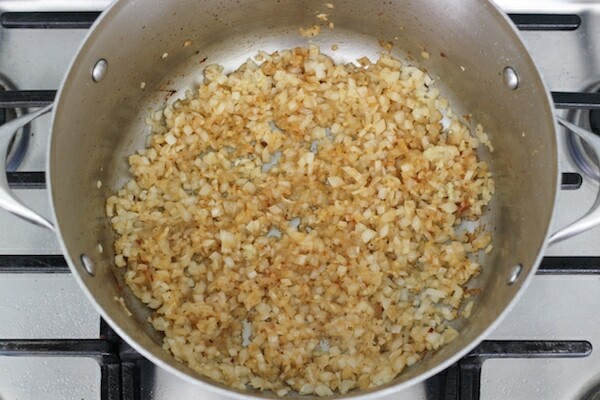 To reheat, I like using a skillet with a bit of butter or oil to sauté the pilaf until it’s warmed through. Prep the chicken by trimming all the excess fat and cutting it into 1 1/2 inch pieces. 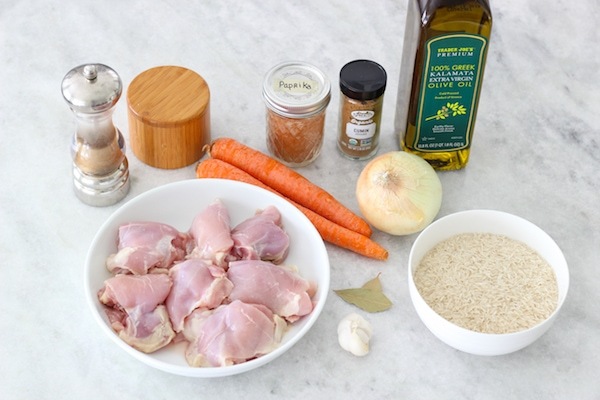 Chicken thighs are the best choice for this recipe, since they will be much juicier, but if you want to use chicken breast instead, you can do that too. 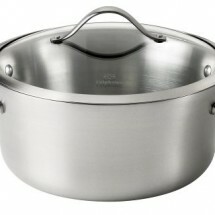 In a large skillet or heavy bottomed pot/dutch oven, heat the oil on high heat until shimmering. Cook the chicken in two batches until golden brown all around, seasoning with salt, pepper and any other combination of spices that you like. 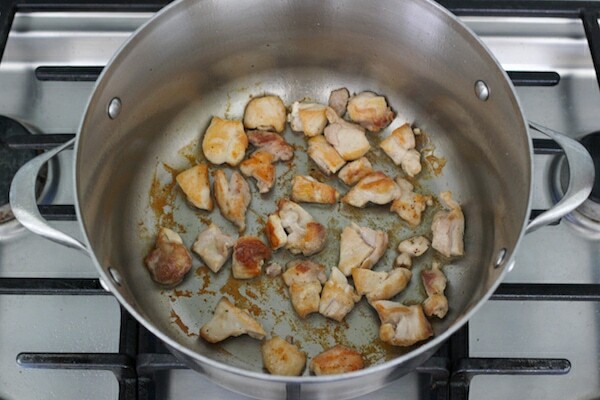 Remove the chicken to a bowl and set aside until all the chicken is golden brown. 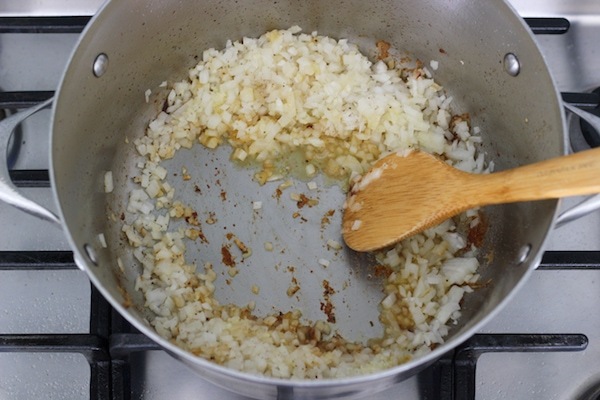 Add the onion to the pot, season with salt and ground black pepper, and cook over medium heat for about 3 minutes, scraping all the chicken fond off the bottom of the pot to incorporate into the onions. 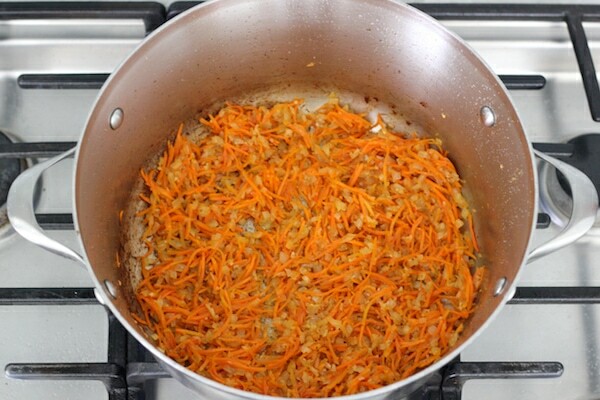 Add the carrots and garlic, seasoning with more salt, ground black pepper, paprika, cumin, and any other dry herbs or seasonings that you like. Cook the vegetables for another 5-7 minutes, until they are tender. Long grain white rice is the best to use if you want fluffy rice that doesn’t clump up and stick together. My favorites are basmati or jasmine. Medium grain or short grain rice is used for sushi rice and risotto. This kind of rice will stick together and be clumpy. 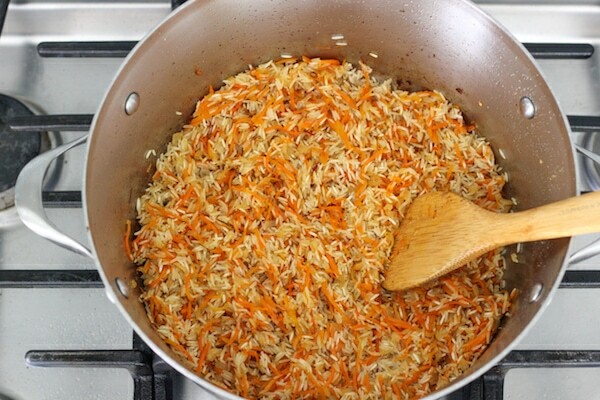 Add the rice to the pot and mix to combine, cooking for 1-2 minutes, until all the rice is coated in the vegetables. Pour in the boiling water, season with another 3/4 teaspoons of salt, add the bay leaf and return the chicken to the pot. 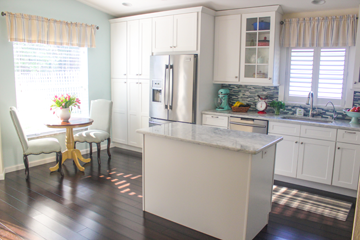 As soon as the water is boiling, reduce the heat to as low as possible, and cook, covered, for 10-15 minutes. Turn off the heat and let the rice stand for another 5 minutes. Discard the bay leaf, fluff the rice with a fork and add fresh herbs, such as parsley, dill, chives, etc. Add the rice to the pot and mix to combine, cooking for 1-2 minutes, until all the rice is coated in the vegetables. Pour in the boiling water, season with another 3/4 teaspoon of salt, add the bay leaf and return the chicken to the pot. 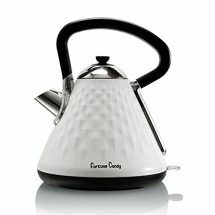 As soon as the water is boiling, reduce the heat to as low as possible, and cook, covered, for 10-15 minutes. Turn off the heat and let the rice stand for another 5 minutes. 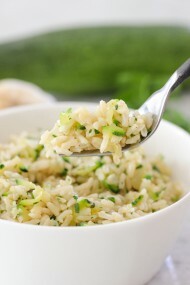 Discard the bay leaf, fluff the rice with a fork and add fresh herbs, such as parsley, dill, chives, etc. Thank you, Carissa. No, I haven’t posted a Instant Pot version yet:). Yes please I would LOVE the instant pot version of this! Also does anything change if you want to double the recipe other than the measurements? I will keep that in mind, Anna:). 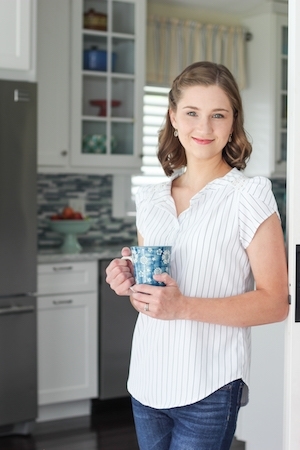 If you want to double the recipe, you don’t need to make any changes. 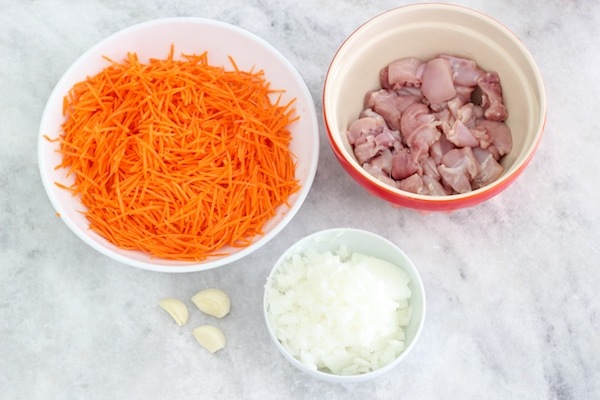 You can always adjust how much chicken, carrots, onions, garlic, spices you add, just use the same ratio of water to rice the same. I always cheat and pre-cook my rice so what I end up with isn’t really plov, more like kasha but it is yummy! 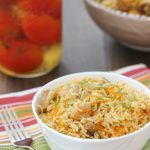 My plov does tend to be dry overall, what’s the secret to having fully cooked rice but not end up with just dry, bland rice with meat thrown in? I think you will find this recipe really simple and there’s no need to cook the rice before hand, since it’s the easiest part of the process. Adding the rice to the vegetables and then having them cook together will help all the flavors meld together and become really cohesive. I hope that helps. 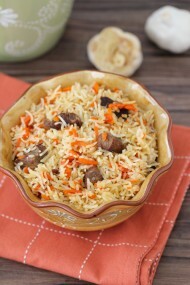 i like the ouzbek plov more.. it has a deeper flavor and uses more spices. They are both delicious in their own way. It’s nice to have a quick option once in a while too:). I really like this recipe because it takes less time to make but also because it turns out just as delicious! I’m so happy to hear that you enjoyed it, Irina. How do you freeze it and for how long? Put it in an airtight container or a freezer bag, Natasha. 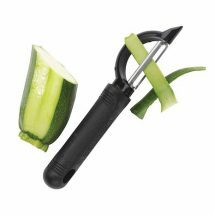 You can freeze it from 3-6 months. This recipe came out perfect. So flavorful! 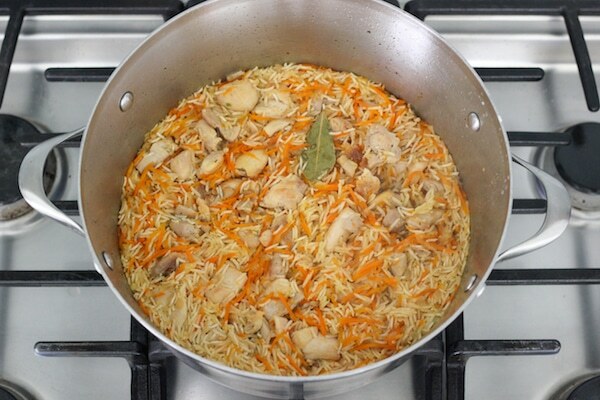 My problem before was that my plov was bland, my chicken was tough and the veggies didn’t have any oomph. Frying the chicken in batches was genius! The rice actually fell apart and was able to be fluffed. Usually my rice was a sticky blob. I tried your beef plov and that recipe is my go to (that one also comes out perfect each time). Thank you for this one! 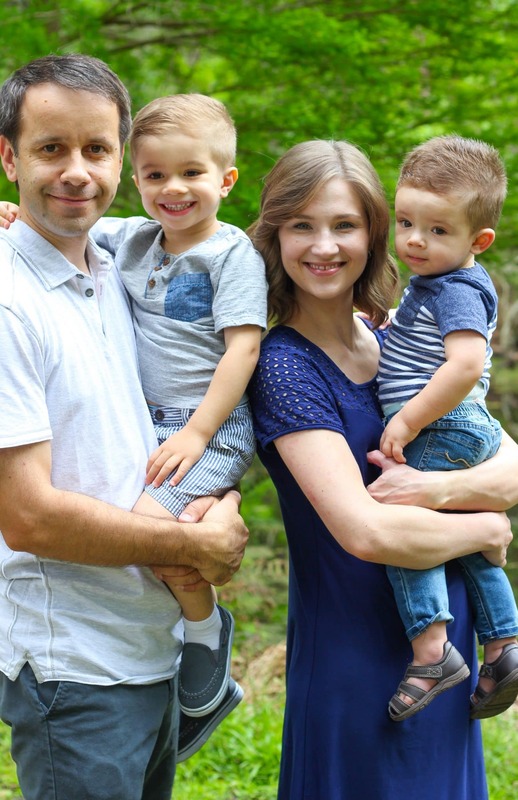 I’m so glad that you were happy with the results, Inga:). Thank you for taking the time to write. 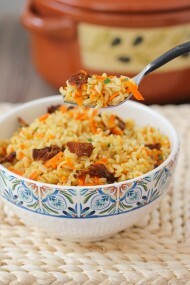 Truly the best plov! 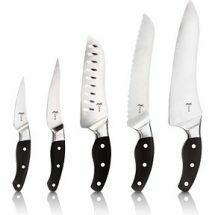 Not sure if I’ve commented before, but if your plov comes out meh and kinda like kasha and the meat needs 6 canine teeth to chew…try this. Your family will ask for seconds and you’ll say, aww shucks. I’m so happy you enjoyed the Plov, Inga. Thank you for taking the time to write. I’ve always been too nervous to try making Plov. Your recipe was so easy and my Plov turned out delicious! Thank you! That’s wonderful, Mira. So happy to hear you enjoyed it.